This past summer, Wendy Fleming grew fearful when she kept hearing about people, most of them young, overdosing on opioids. She knew her 24-year-old son occasionally smoked pot and thought he might have taken a few pills in the past. That's why she pulled him aside in mid-September to talk about fentanyl. "I said, 'Promise me you won't touch that,' and he said, 'I promise, Mom,'" Fleming recalled, sitting at her kitchen table in the rural community of Bruderheim, Alta. Three weeks later, on the afternoon of Oct. 4, two police officers arrived at her workplace in Edmonton to tell her that her son, Darrel Tchir, had been found dead at a friend's home earlier that day. A pill had been discovered near his body, and it was taken to the medical examiner's office for testing. At first, the family was told that Tchir, a father to a three-year-old son, had likely died of a fentanyl overdose. But at the end of October, the Flemings got a phone call saying the pill contained carfentanil. "They said once he took that pill, it was a death sentence," says Tchir's stepfather, Cyril Fleming. "He didn't have a chance." Tchir is one of 15 people in Alberta whose deaths have been linked to carfentanil, a deadly opioid with a similar chemical structurePlay Media to fentanyl but that is estimated to be 100 times more toxic. or carfentanil that allows the lab to detect the drug after overdose deaths. Carfentanil was developed in the 1970s and was intended to be used as a tranquilizer for large animals, such as elephants. Nigel Caulkett, a professor of veterinary medicine at the University of Calgary, has tranquilized bison with darts full of carfentanil. Each time he uses the drug, he follows a strict safety regimen, including suiting up in protective gear, keeping a vial of the antidote nearby and notifying the local hospital that he is working with carfentanil. However, these days he and his colleagues aren't using the drug, in part because it's no longer available. Caulkett doesn't know why it's off the market but says that, historically, there have been a number of times where he and his colleagues have lost access to veterinary drugs once people started using them recreationally. The lack of access to carfentanil doesn't bother Caulkett, because there are alternate drugs he can use. He says he never liked working with it, because of its toxicity. "The thought that [carfentanil] would actually be out on the street is quite horrifying," Caulkett says. Two shipments of the drug were seized earlier this year at Vancouver's International Mail Centre. 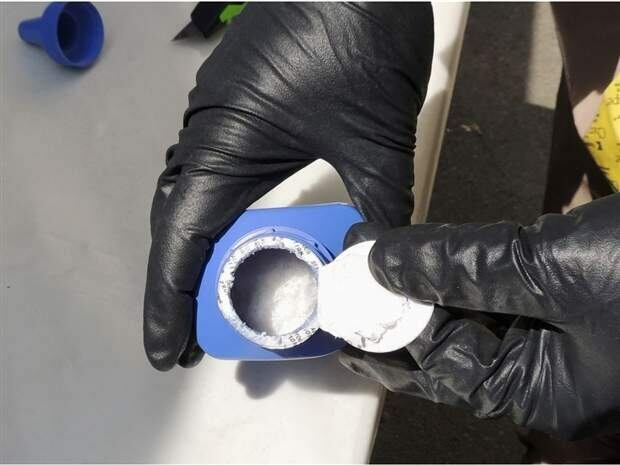 In one case, a kilogram of carfentanil powder was found in a printer ink bottle — officials said there was enough for 50 million lethal doses. The package was bound for Calgary and had been shipped from China, where the drug is unregulated. Carfentanil can be found for sale in myriad marketplaces on the dark web, where for a few hundred dollars, buyers can purchase the opioid in liquid or powder form. In addition to Alberta, the drug has been found in B.C., Ontario and Manitoba. In October, a nine-month-old boy from Winnipeg had to be hospitalized after being exposed to carfentanil. Police say the opioid is cheap and potent, which is why it is being smuggled into Canada and then blended up with other drugs and pressed into pills. It's showing up in fentanyl, heroin and even in tablets that are being passed off as prescription painkillers. This month, police in Waterloo, Ont. announced they had found carfentanil in counterfeit OxyContin pills. While authorities have been able to detect the drug in pills, powders and paraphernalia, it is much more difficult to discern in someone who has died. An amount the size of a grain of sand can be fatal. "It's a very different process detecting carfentanil in post-mortem blood, where the concentrations are literally a billion or a trillion times lower," said Dr. Graham Jones, chief toxicologist with Alberta's medical examiner's office. He and his team have been testing for fentanyl in blood for 20 years, and over the summer, they began working on a test for carfentanil. They needed to change their extraction method so the machines could pick up miniscule traces of it in blood. This fall, the lab was the first in Canada to be able to do the test and confirm carfentanil-related overdoses. What's still unknown, however, is how many people have previously overdosed on it. "Certainly, it is possible we could have missed carfentanil cases from earlier this year, and that is why we are going back and retesting some of the cases that we have looked at," said Jones. Fifteen overdoses have been confirmed so far in Alberta, but that number could rise. As yet, there still isn't a clear picture of the statistics in other provinces, as toxicology labs elsewhere are currently not testing for the drug in people. Officials in B.C. expect to be able to detect carfentanil in blood this month while labs in Ontario and and Manitoba are working to develop a similar test. In Alberta, the rash of opioid overdoses has led to a significant increase in the caseload at the medical examiner's office. Some families have been waiting months for toxicology results. "It is actually really frustrating," said Carol Ann Hillman, whose 19-year-old son, Tyler, died of an overdose. "Knowing that this year was so bad now, we get to go into the new year and look forward to the toxicology," says Hillman bitterly, as she wipes away tears. 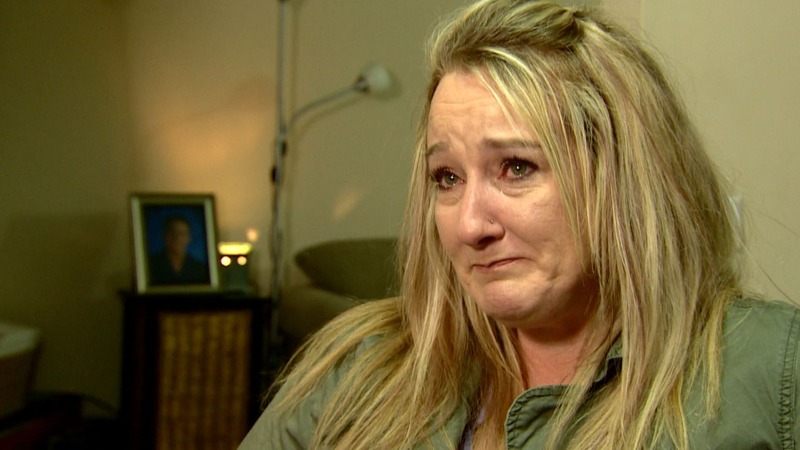 Her son was found dead by his younger sister in the family's Calgary home in July. Tyler Hillman was discovered on his bed, sitting in front of his laptop, where he had been going through Kijiji ads looking at vehicles for sale. Hillman says her son, who had recently been laid off, was depressed and having trouble sleeping. "I think he was ashamed to say that he wanted to try something, because I know everything about him," she says. After Tyler's body was taken away by the coroner, his family searched his room and found a white pill with the word Xanax stamped on top. Xanax is prescription medication designed to help ease anxiety, but in the U.S., authorities have found counterfeit pills laced with fentanyl. 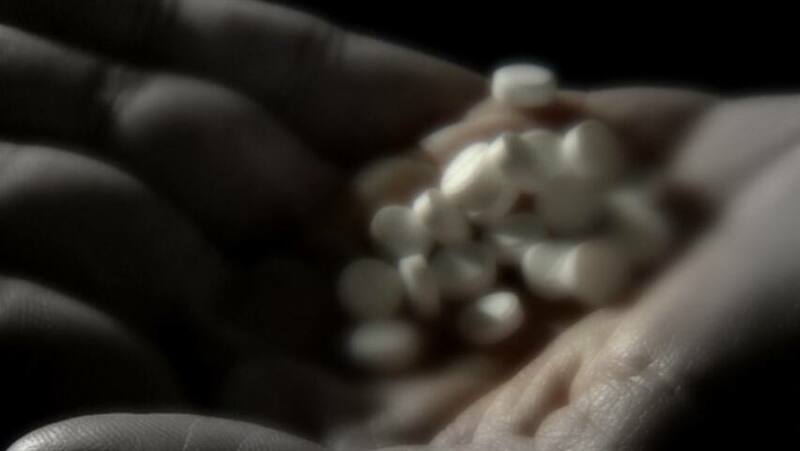 Hillman says she believes her son must have gotten hold of a similar pill. Immediately after his death, she was told by the medical examiner's office that it looked like he died of a fentanyl overdose. "You don't think that is going to happen to you," she says. "I don't even know how he would have gotten it." That question also haunts the Flemings. Looking through a stack of photos they printed out for Tchir's memorial service in October, they reflect on a son who loved to play sports as a child and who, as an adult, relished being a father. "As parents, you go, 'What if? What if we would have done this? What if we could have done that?'" says Wendy Fleming. She and her husband agreed to be interviewed for this piece because they hoped their candour might help other families realize that nobody is immune to the opioid crisis. They admit that before Darrel died, they knew nothing about carfentanil. Now, the Flemings read as much as they can about the deadly drug. "It's the equivalent of Russian roulette," says Cyril Fleming. "The more you learn, the more it scares you, because we still have [other] kids."